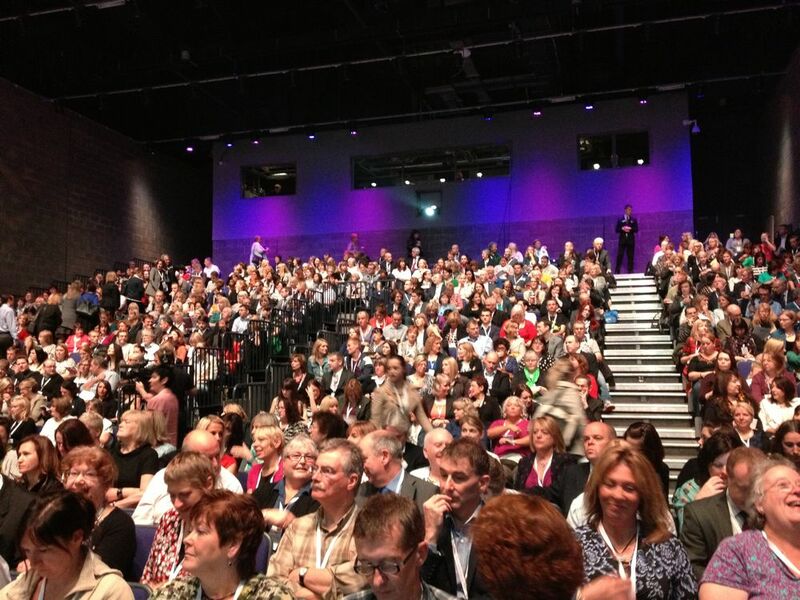 Earlier today I made a brief foray to the Scottish Learning Festival for the first time. I don’t usually attend the event as I’ve never worked directly with the school sector, but this year I thought I would take the opportunity to go along to the panel on Gaelic medium education and to hear Cabinet Secretary Mike Russell’s keynote. Although I was born and educated in the Outer Hebrides, I am not a native Gaelic speaker as I’m very much part of that generation whose parents and grandparents thought there was little reason to pass the language on to their children. Despite my own poor knowledge of the language, we decided to send our daughter to Sgoil Ghàidhlig Ghlaschu so she would have an opportunity to learn the language and benefit from a bilingual education. She’s now in her third year of full immersion Gaelic medium education and has taken to it like a tunnag to water! Consequently it was very encouraging to hear that HMI have gathered evidence of the positive impact of full immersion Gaelic medium education. The importance of preschool Gaelic medium provision was also acknowledged, as was the need to engage the wider community in Gaelic education. There was also a lovely case study about the enhancement of Gaelic medium education in Balivanich school on Benbecula, which specifically referred to the positive impact of pupils coming to the school who did not speak English as their first language. The ability of these children, from Poland, Latvia and Russia, to quickly learn English, and their enthusiasm to also learn Gaelic, was a great encouragement to local children. Other initiatives Russell announced included the creation of a new College for Educational Leadership and a review of the Curriculum for Excellence to be carried out in 2015 by the Royal Society of Edinburgh and OECD. Despite claiming that the drive to improve Scottish education from “good” to “great” should transcend politics, I couldn’t help feeling that Russell’s keynote had a distinctly political slant. However I certainly can’t disagree with his assertion that “Scottish education needs to get better at gathering in and using data”. Sounds like another strong incentive to further the development of learning analytics techniques! This entry was posted in policy and tagged analytics, gaelic, SLF13. Bookmark the permalink. ← A Good Week for Open Education?